Looking for an easy dinner idea? 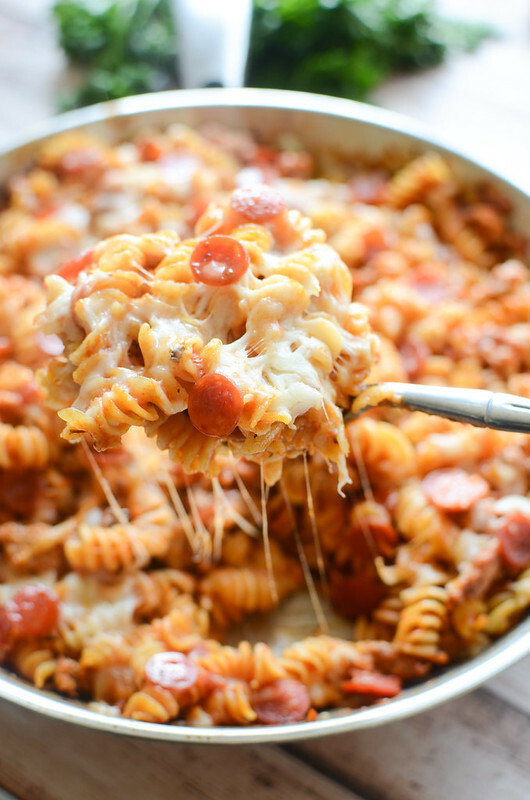 One-Pan Pizza Pasta is filled with everything you love about pizza and is ready in about 20 minutes! Perfect for a busy weeknight! Who else feels like life has been insane since school started? Some days I look up and it’s 5 pm and I have no idea how it happened. It’s like, I’ve been busy all day and I haven’t had a single minute to think about dinner and maybe we’ll just have PB&Js and potato chips. So I’ve been trying to plan more easy meals. My new favorite thing is one-pan meals.